The most beautiful bookstore in the world? Lonely Planet considered Lello & Irmão Bookstore as the third most beautiful library in the world. The store has an excellent neo-gothic façade, where you can see two figures painted by José Bielman, representing the Science and the Art. This facade is only surpassed by its stunning interior, designed by Xavier Esteves. The building was inaugurated on January 13th, 1906, in an important social event for both Portuguese and Brazilian societies, attended by famous people from different spheres – among them Guerra Junqueiro, a renowned Portuguese writer. As you walk through the doors of this bookstore you’ll notice that there is a marvelous stairway and the wooden walls are also very exquisite. The stained glass ceiling adds an amazing detail with Lello’s motto “vecus in labore”. Look carefully and appreciate all the details of this bookstore. Rumor has it that J.K. Rowling’s inspiration to write Harry Potter has begun in Porto, particularly at this library. The well-known writer lived in Porto for 10 years working as an English teacher in the early 1990s and she used to drink a cup of coffee at the second floor of Lello’s bookstore. 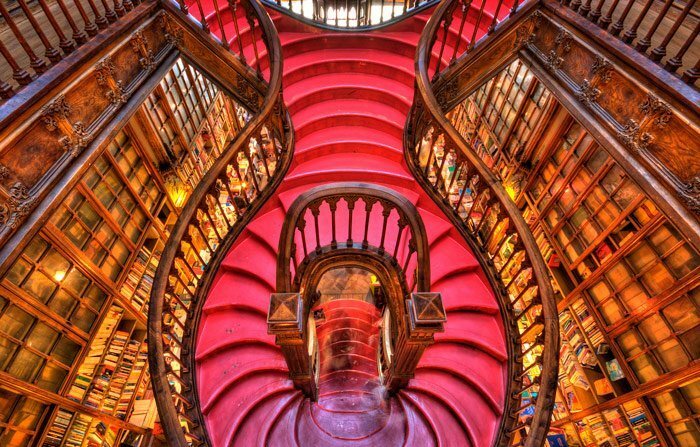 There are indeed great similarities between Lello’s bookstore staircase and the one described in Hogwarts. It is also believed that the Hogwarts’ costume was inspired by the costumes of college students in Portugal, composed of a black suit and a black coat – these students are very likely to be found around this area, as the headquarters of the Porto University are located at Praça Gomes Teixeira (up ahead, where you can find a Lion’s fountain, hence the nickname “Praça dos Leões” – Lions’ Square, as the locals call it). Pick a book and enjoy a cup of coffee on the first floor! The policy is very strict concerning photography inside the library, and for a reason: this is a private space which is full of people all the time, but a minority end buying a book. However, you can still enter for free and enjoy the magnificence of the building and there are great postcards that you can buy and take home to complete your photo album. However, I strongly advise to buy a book here, as it becomes an unique experience, connecting all senses. Around the same area, you’ll find Clérigos Tower and Carmo and Carmelitas’ churches. These are totally worth a visit. Yesterday, the only thing I photographed there was the queue of people, waiting to get in for a peep. It must have been 100 yards long. It seems that the place is a ‘victim’ of ever increasing tourism in Porto. I was there as a tourist too, so I can hardly complain. The shop must be doing well from ticket sales. Book browsers and buyers must find it rather irritating though. The economy of Porto must be enjoying tremendous growth. Despite the droves of people trailing around, it was still a great holiday as the city is unique in many ways. You really do need a good pair of legs though, the steep streets are killers on the calves! People are turning to the Camino Portuguese as a less crowded alternative to the Camino Francis for the walk to Santiago Spain. Many start in Porto because Lisbon is very difficult to negotiate to get out of the city. We’re doing the walk in September 2019. I spent about 90 minutes browsing the shelves today. As a bookstore, per se, it is simply not comparable to such places as Powells in downtown Portland, Oregon, USA, Foyles on Charing Cross Road, London, England or Basil Blackwells in Oxford, England in terms of volume and subject matter. If one is looking for the visual beauty of the surroundings in which reading material is sold and subject matter is a matter of far lesser consideration this bookstore in Porto is surely a world class must-see destination. 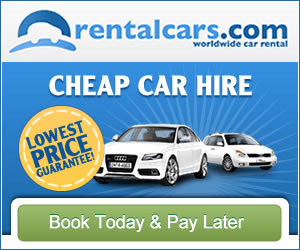 The entry price is now €4 which is deducted from the cost of one’s purchases. Inside photography is allowed without restriction. From my observations I estimate that 10% or less of the foot traffic made purchases and about 100% of the traffic took photographs! This is what Heavens would look like to me. An antique bookstore– gorgeous! A definite highlight of my visit to Portugal – absolutely wonderful !! 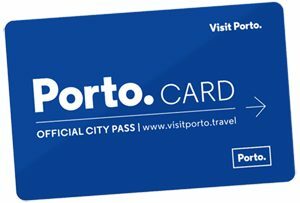 Sorry, that was meant to say max 22 months in Porto, not 14. I don’t know why it’s stated here that JK Rowling lived in Porto for 10 years. She was in Porto a maximum of 14 months, according to her website. Her mother died on December 30, 1990, and nine months later she moved to Portugal (October 1991), then to Edinburgh by Christmas 1993. I should have put,before opening or after closing . Definitely nothing to justify charging THREE euros. I will no longer go there, ever. Libraries are free all over the world, nothing can excuse this. It’s not a library, it’s a privately-owned bookstore. is deducted. Well worth a visit but it is seriously crowded so getting good pics is difficult. one would think such a nice article would include an address for the destination. Hi Bob! If you read in deskto view you will have full adress and contacto with Google Maps view. Still working on the mobile version, sorry about that. Cheers!